The Rebels Quartet will be singing at Winds of Peace Fellowship on Sunday Morning, July 21, during the 11:00 a.m. Worship Service. Hear inspired music from their newly released album Revived as well as many of their original favorites made famous over the years. 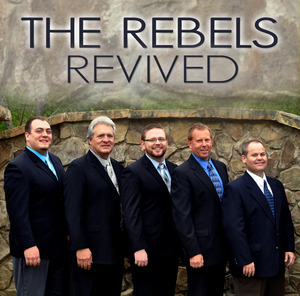 Founded in 1950, born in Dixie, driven by the Gospel of Jesus Christ, The Rebels Quartet has been known as one of Gospel Music’s greatest singing group in the nation. Former members “Pappy” Jim Waits, London Parris, and Big Jim Hemill are all members of Southern Gospel Music’s Hall of Fame. Winds of Peace Fellowship is located in Dawsonville, Georgia at 1550 Harmony Church Road.